Today, I am sharing my month update and income report with all of you, and it has been nothing less than a roller coaster ride last month. I had many ups and downs, and in spite of those, I made a big progress in some areas of my blog. I am very excited to share all those things with all of you. It is my 7th month of blogging, and I have learned so much in these seven months. Be it how to diversify my income or getting traffic or increasing my followers or trying to find out what exactly my readers want. It is very helpful for me and may be for you to see what worked and what didn’t with my blog. This can help you to work on the things which might give better results in your blogging journey. 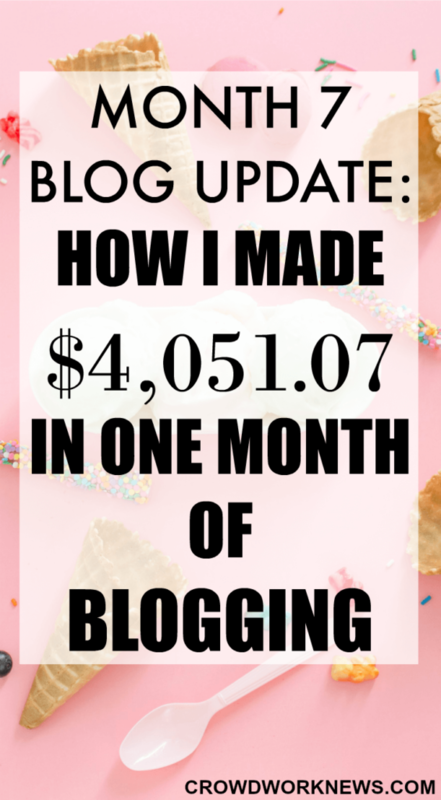 The two reasons I share my blog update and income report, first to be accountable and then to show you no matter how young your blog is, you can make money from it. My numbers were over 100,000. It is the first month that I had a dip in my stats. The main reason for this was, I believe there was low traffic from Pinterest, and apparently many bloggers were affected by this. I am happy with the fact that this fall in traffic has not impacted my income in a big way. I am looking into diversifying my traffic sources in coming months. Let’s hope the numbers are up again next month. The bounce rate is still a bit high, but the returning visitors are growing. I believe writing longer posts will lower the bounce rate and hope to see that number go down in future. Now, I am happy to share this growth with you. I had a target of reaching 800 subscribers this month. My list is up to 891 now. It is a great win for me considering I have just started to grow my list. Both of my freebies are converting well, and I am planning on an another opt-in soon. Another area of my blog where I saw BIG growth last month. My followers have grown to 4k. THAT’S AN INCREASE OF 1.4K IN ONE MONTH!! I love the way my Pinterest following is growing and hope to give more useful and new content to my followers. I owe a large part of this to Pinteresting Strategies. I have been testing timings and content to pin, but the backbone of my Pinterest strategy is manual pinning. I highly recommend this eBook if you want to see significant results from Pinterest. My Facebook is also growing at a good pace. I am still experimenting with timings and sharing more useful content. Of what I have understood, sharing viral posts in your niche helps in a considerable increase of followers. 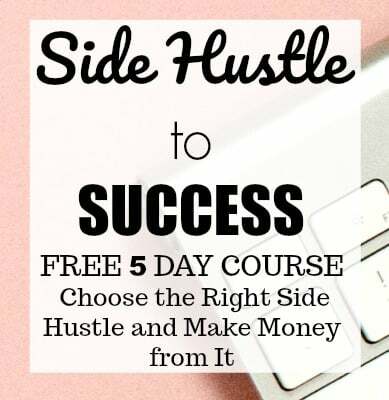 I refer to Strategies Worth Sharing for all the tips when I need, and this is the only eBook I have used for my Facebook page, and it has worked for me. I am not focusing on this platform for now except for sharing other’s content and posting my posts. I might work on it at a later stage. For now, I will be working on other platforms which are getting me traffic. For the past month, I have been posting regularly on this social media platform. I see some growth, but I believe if I am persistent, I can see a significant change. I will be working more on this next month. Below is my income update for the past month, I earned over $4000 and it was mainly from Affiliate Marketing and Advertising. If you want a side hustle or a part time work from home option or even a possible full-time income, then start a blog, it is the most flexible work at home job you can have with great income potential. I have a very easy step-by-step guide to start your blog. Even though my traffic was lower than the previous month, this month’s income is still good for the fact that blogging is still my side hustle. I am slowly diversifying my sources of revenue, and they are converting very well. I plan on doing this further. There are many ways you can make money blogging like affiliates, ads, sponsorships, products, etc. My major income comes from affiliates, and I am very happy with it. Affiliate marketing is the most passive way of making money from a blog. And the biggest help I got early on when I started my blog to reach this point is Making Sense of Affiliate Marketing course. 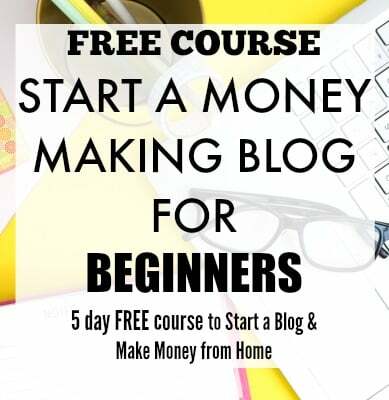 This is the only course I recommend to anyone wanting to make money from their blog. The bonuses this course has are insane and totally worth more than it’s price. I have begun looking into SEO and optimizing my posts. I did have Yoast plugin but never utilized it fully. I hope to see more growth in page views organically. Presently, I am reading an eBook for SEO, and I am finding it useful. I will surely update you all once I finish it. My opt-ins are still doing well, and I do plan on making more freebies for my readers. I am happy that my 5 Point Checklist for Getting Traffic freebie is doing good. I have shared what tips worked for me to get such good traffic in the early stages of my blog. In the process of diversifying traffic, I have been discovering more and more channels for a promotion like Flipboard. I am totally new to it and still need to get a hang of it. I am trying to work more on Google+ as it is very important part in getting organic traffic. But one thing I have learned is, there are other ways of getting considerable amount of traffic apart from the usual social media channels. There are many things I have planned for next month like some excellent side hustle interviews, more different money-making tips and more work-at-home jobs for all my readers. With so many online and offline hustles coming up every day, I am always excited to research more and discover new ways of making money. I am working on increasing my traffic to 130,000 by next month. Now, that the Pinterest traffic is getting back to normal slowly and with little increase in Facebook traffic, I might be able to achieve this target. Wish me luck!! As I always say, I never set a goal for myself regarding income. I always focus on increasing the income and even if it is a slight increase, it is still growth. After achieving my last month’s target, I would love to grow my list to 1000 next month. That’s a big goal but achievable. With the opt-in’s doing good, I hope to meet this goal. As a new blogger, the whole blogging thing can be too much to handle when it comes to some aspects of getting traffic, making money, increasing followers. But it can be a smooth process if you implement the right strategies. Here are some resources which helped me to reach this stage, I highly recommend them, and they can be quite helpful no matter at what stage of blogging you are. Making Sense of Affiliate Marketing – This is by far the best course I had ever taken, and it has helped me in many aspects of affiliate marketing. This course is a must for anyone who is serious about making money from a blog. Pinteresting Strategies – Carly’s Pinterest strategies helped me grow my traffic exponentially and in turn my income. I have tested them, and they work. Blog Traffic eBook – I love Lena’s eBook for the fact that she dives into the areas of getting traffic from less frequently used platforms like Stumbleupon and Google+. Strategies Worth Sharing – An eBook which I bought even before starting my blog, and it helped me to reach 700+ likes on Facebook. With Facebook being the second biggest referral for traffic for many bloggers, you need to invest in this to grow your traffic. Bluehost – I have had a great experience with Bluehost. Blogging is a great side hustle, and if you are waiting to start a money-making blog on a budget, then Bluehost is the way to go. Here’s to the new month and new goals!! You did offer some really good advice. I will read through them ebooks. I will bookmark this. THANKS. Thanks, I hope the ebooks help you. P.S Pinterest totally sucked for traffic in the beginning of the month for me too. You’re making a good call by diversifying your traffic. Thanks!! I am so happy your traffic is going up. I do think that depending on one source of traffic is not a good strategy. I wish you all the best for your next month stats. Thanks Sireesha! I wish you the best too! LOVE LOVE LOVE this article! So many great tips! I am a new blogger and this article was so helpful to me! Thank you for sharing! Thank you!! I am happy you found this helpful. Hi Sireesha! Thanks for sharing your income report and the factors that helped you get there. It’s helpful to people publish these income reports to gauge where I am with my own progress and how I can improve (I just started out 🙂 ). Keep it up! I agree with you. Income and blog updates keep you accountable. I hope you see good growth with your blog. Wow! That’s a really good month. How long did it take to earn over a $1000 with surveys? I just started doing surveys, and have yet to promote it on my blog. Thanks for commenting. With some selected surveys/GPT sites you can make around that figure in a month. I still do them for extra cash. Great income like every month Sireesha ma’am. Your post on making money as a Captioner has been a great hit since it has been published! Congrats on your growth. So happy for you. I’m working hard too with growing my traffic, list and income and everything is on the up and up for me too! Thank you so much. It means a lot coming from you!! I am very happy to see your growth especially with regards to income and list. Need to learn a lot from you. I am working on seeing better numbers this month. Fingers crossed!! This is really a very motivating post. Your growth is great. I am also trying to do the same with my blog.